How can you help the ADD child in your life? Attention deficit disorder (ADD) is one of the most discussed yet least understood childhood disorders today. Here is a book that delivers the answers people are looking for! 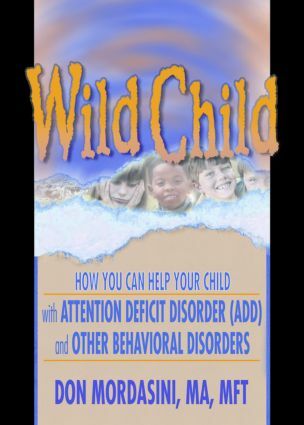 Wild Child explains the symptoms, thinking patterns, and behavior of children and adolescents with ADD in terms that are understandable by parents and grandparents, yet relevant to the professionals who deal with these children. It outlines specific strategies that you can use to cope with the vast array of behavior, hyperactivity, and inattention problems experienced by children with ADD. The concepts outlined in Wild Child will show you how to bond more closely with children who tend to alienate them, and help children feel better about themselves, aiding them in their quest to master their specific challenges. Because this book is written from the inside, explaining what the symptoms feel like from the perspective of someone with ADD as well as from the perspective of someone with an ADD child, readers will easily identify with the author. ADD is truly a hidden disability, and the children suffering with it are usually labeled wild, crazy, or stupid. This, of course, leads to low self-esteem and underachievement, but Wild Child stresses that new learning can and does take place when proper motivators are applied. This book provides concrete advice regarding what those motivators are and how and when to use them. Teaching adults to empower the children in their care is an important part of Wild Child. Without appropriate intervention, children with ADD frequently end up chemically addicted or in trouble with the law. This book can help prevent these things from occurring. This is a valuable resource for everyone who knows a child with ADD.